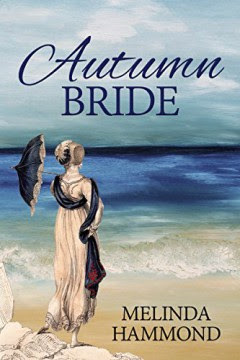 The clean historical romantic adventure Autumn Bride by Melinda Hammond is FREE until Friday. When Major Lagallan suggests to Miss Caroline Hetton that she should marry his young brother, she can hardly believe her good fortune, and at first sight Vivyan Lagallan seems to be the perfect bridegroom; young, charming and exceedingly handsome. Yet upon closer acquaintance, Caroline is disturbed by his wild, restless spirit and discovers that he has a taste for excitement that eventually endangers not only his life, but hers, too. Another sparkling historical romantic adventure from Melinda Hammond. Autumn Bride is free for Kindle Unlimited subscribers. If you want to see if subscribing is right for you, you can get a Kindle Unlimited 30-Day Free Trial.